How do they work? 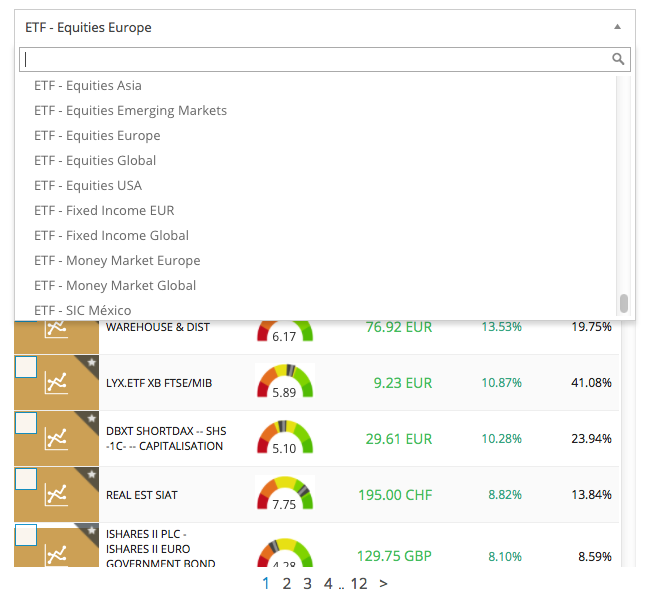 We select between four and six ETFs for the risk-profiled portfolios and up to ten stocks for the country portfolios. The main point for us is capital preservation. That’s why our results, when they are negative, are better than the markets. 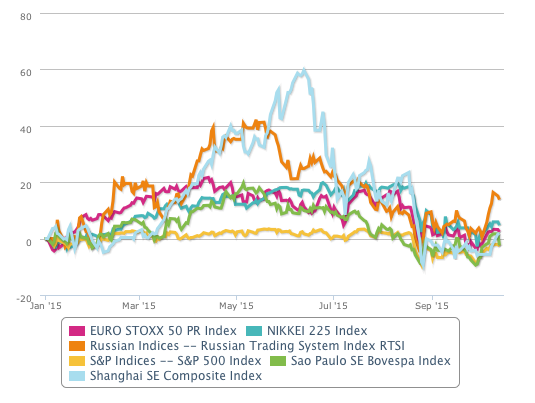 To obtain those results, we rebalance the portfolios every two months. These rebalances let us improve the results, as we exclude the positions more affected by market negative waves and substitute them for better stocks or ETFs. Diversification is also part of the strategy. We select the securities with the best score and relevant figures to obtain the best results. The figures were collected on January, 2nd, and we compare the results of 2015 and 2016. There is a general improvement (except the balanced strategy, although it is positive anyway). We have to remember that the year was quite unstable in the markets, as there have been several surprises that affected negatively. Despite this instability, none of our strategies closed with negative returns. 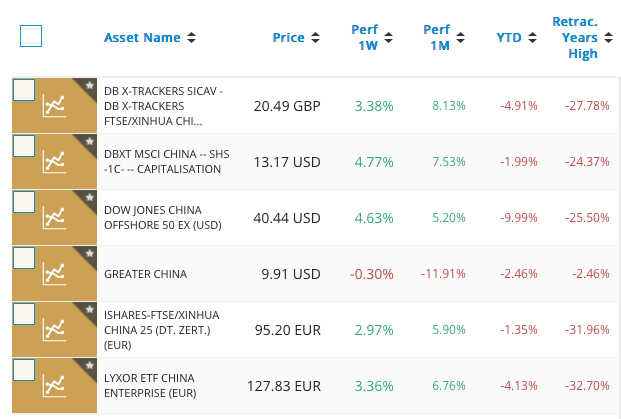 Except the UK portfolio, our strategies outperformed their benchmarks, but even the British one obtained a quite good return. The best performer was the German strategy again and the worst was the Spanish, but in this last case, the benchmark Ibex finished with a negative result. Learn more about our portfolios and the assets included in our platform. Aren’t you tempted to clone them? We have a tool to let our users do it. Let’s try it and compare the results with your investments! 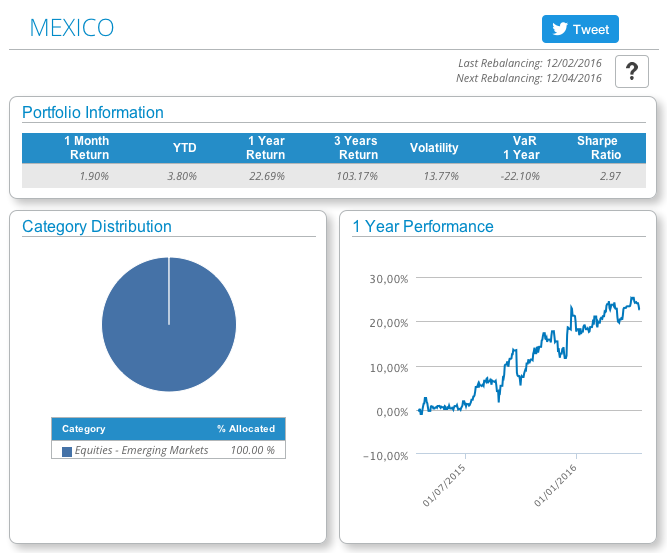 This entry was posted in Discover and tagged Capital preservation, ETF, Investment strategy, Model portfolios, rebalance, Risk profile, shares on January 19, 2017 by Oscar Garcia. The boom of ETF in the investment landscape as a new kind of asset opened the endless discussion about active and passive management. First of all, what do we mean when we speak about both ideas? Traditionally, the active approach means that a fund manager or a team design a specific fund or portfolio composed by a basket of assets. 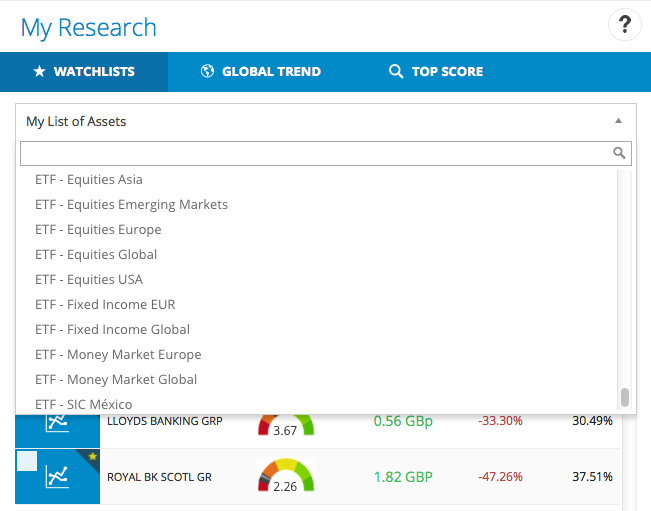 These assets are selected by the product profile (different kind of risk, asset categories or market). Then, the manager tries to beat a specific index or benchmark. The task is hard, because the manager has to deal with a lot of information related to companies, markets, policies and general trends. To attempt to outperform, the manager buys and sells regularly to improve the results. On the contrary, the passive approach creates a portfolio or fund that copies the same structure as a specific index. That means that the result is narrowly linked with the index. Instead of outperform, the passive management obtains the same returns as the benchmark. The task of the manager is quite lighter, because he only adjusts the portfolio every certain time depending the changes in the index composition. The question is: what is better? A usual pitch explained by passive management supporters is that active managers have a low rate of success outperforming the market, which is actually true, if we see some statistics. 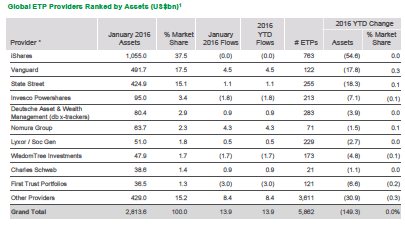 Usually, ETFs even beat the active manage funds. Other arguments are related to the costs: while passive management has low fees, active management costs quite more, because there is a human group behind the portfolio. Passive products are also easier to understand and agree the idea of diversification to reduce risks. 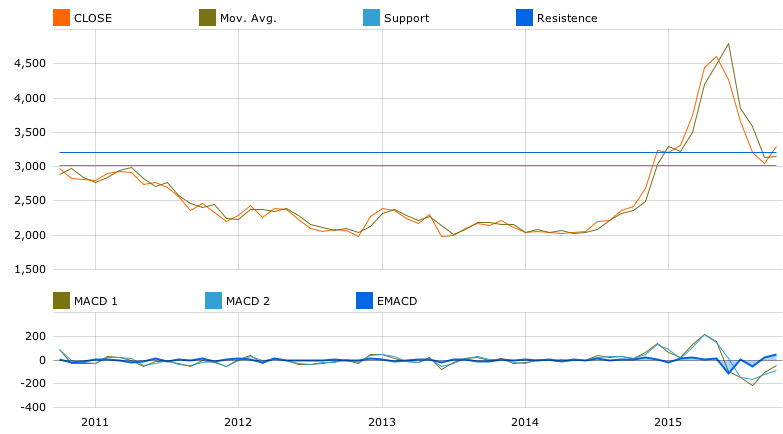 The current roboadvisor trend is based on ETF and passive management. However, it is reasonable to speak about different degrees of active management, as the financial adviser and blogger Cullen Roche proposed in his blog. Passive investing has a reduced degree of active management, but it is fair to say that the operational structure is quite lower as a traditional fund manager. It is difficult today to defend active management, because they fail regularly in its aim of beating the market and the costs are higher. We don’t mean that it has to disappear, but it will surely evolve to a model in which technology will play a stronger role to reduce costs, so that traditional funds can compete again. Roboadvisor platforms can be a solution. The current movements in the markets are showing it, because great banks and managers are buying roboadvisors or developing their own algorithmic platforms. This entry was posted in T-Advisorpedia and tagged active management, ETF, Fund managers, Passive management, roboadvisor on July 14, 2016 by Oscar Garcia. Roboadvisors or roboadvisers, with an O or with an E: the name began as derogatory, but it has been finally adopted by the different providers that operate in this field. This is the trendy word in financial technologies (or fintech, as it is also known). The concept is simple: with the technological evolution, algorithms have been developed to create portfolios and manage them automatically or with a very low human intervention. Traditionally, a financial adviser has met the customer, listened their needs and creates a personal portfolio linked to a financial plan. 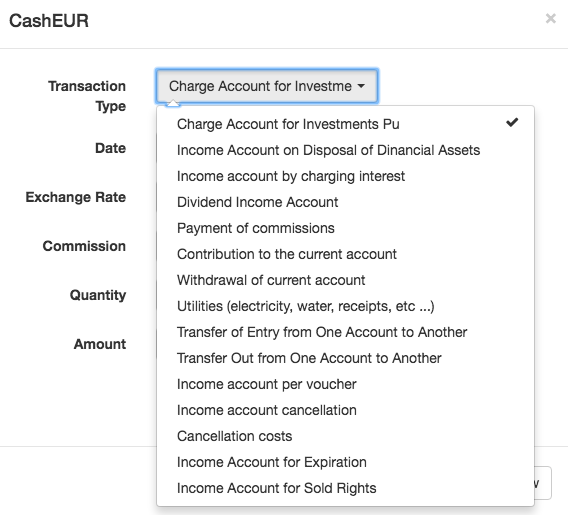 In the case of roboadvisors, the customer register, fill in a investment risk profile questionnaire and the system proposes a model portfolio. This portfolio changes (what is known as rebalances), through algorithms, in order to improve the results when markets are negative. Easy: you invest and the machine works. The immediate and clearer effect is about the price: fees are very low. Technology has opened a wide door for low-cost services with a very high quality and finances are not absent of this trend. Roboadvisors are the solution for little investors that have not enough funds to be worthwhile for advisers but look for better returns that traditional banking products, as deposits. 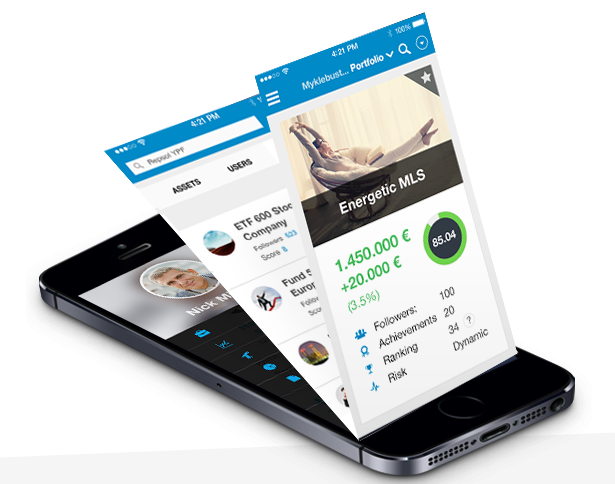 In addition, investors feel the control of their investments, as they have a 24/7 platform with attractive web interfaces or mobile apps. The have also more advantages, as we have already explained. Why are the fees so cheap? The staff is very short. The portfolios are composed by ETF, which are a kind of funds simple, transparent and with low fees. The products are massive portfolios. There is no personal portfolio, as traditional advisers make, but one for different risk profiles. The list of players is long and the assets under management (AuM) are growing quickly: an AT Kearney report mentioned that AuM managed by roboadvisors would reach $2.2 trillion in 2020. Currently, the largest roboadvisors manage $3 billion. That´s why the biggest players in the financial branch, that initially rejected them, are developing or event buying roboadvisors: Schwab and Vanguard have developed its own solutions, BlackRock and Invesco bought roboadvisor companies. In the case of T-Advisor, there is a mixture of self-directed tools for investors that prefer to manage their full investments on their own and a model portfolio module as the existing portfolios in the roboadvisors. And all for free. The map is changing: investors look for more technological, autonomous and cheaper solutions for them. Roboadvisors were criticised, because customer wouldn´t have anybody on the other side of the phone in the case of a crisis. We are living currently hard times in the markets. Let’s see what the financial landscape brings just at the end of the year: more or less roboadvisors? 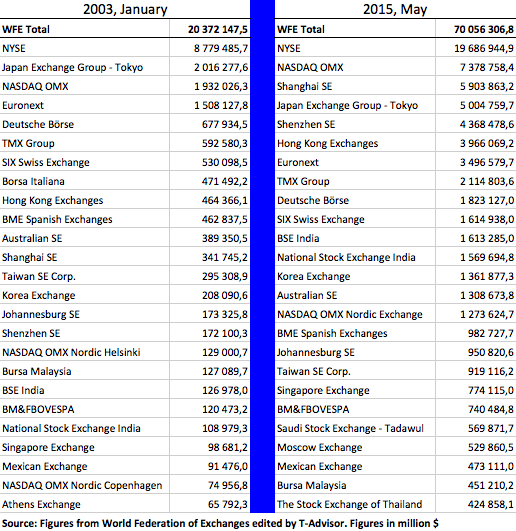 More or less AuM managed by them? Positive or negative returns for the customers? This entry was posted in T-Advisorpedia and tagged AT Kearney, ETF, fintech, Model portfolios, Roboadvisers, Roboadvisors on February 4, 2016 by Oscar Garcia.